I like to switch up my makeup routine and change the products I use, recently I wanted to try a new moisturiser. I love Garniers' Moisture Match products and they are the best I have tried so far but wanted to branch out. My mum has always used Olay, and when we were in Boots a couple of weeks ago she suggested that I try out Olay's moisturiser. 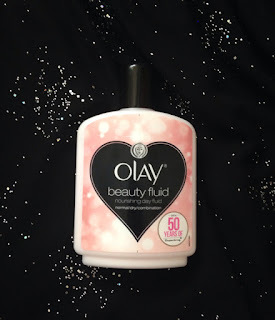 I have used Olay makeup remover before and it is really good at getting rid of dirt and impurities. I have now been using it for a couple of weeks now and it has been alright, it is a good base for putting your makeup on and is a cheap product! It currently costs £4.99 at Boots. It does exactly what it says it does, but I only wish it would help soften my skin a bit more. I feel a moisturiser should make your skin softer and smoother, this feels like a more matte finish. I give the product a 3/5, it just is not for me and I probably would not buy it again. I think beauty products work differently on different individuals, so this may work for others, unfortunately it did not really help improve my skin.